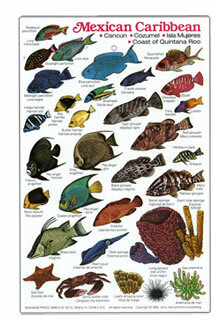 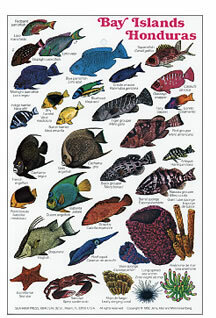 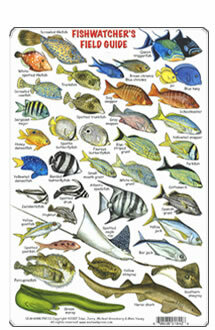 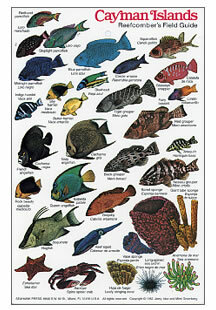 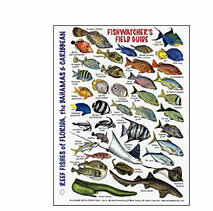 Reefcomber’s Guide combines 75 colorful, frequently seen fishes, invertebrates and turtles of the Tropical Atlantic. 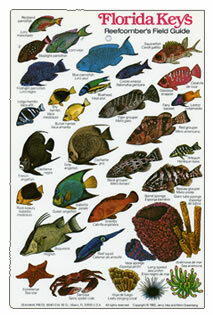 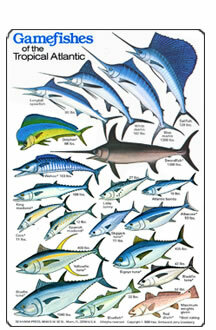 4.5 X 6"
78 species of the most beautiful and commonly seen fishes of the Tropical Atlantic, arranged by family. 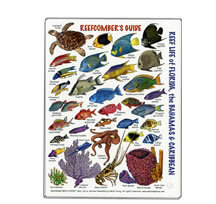 Covers Florida, Bermuda, the Bahamas and the Caribbean. 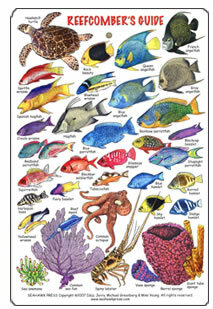 4.5 X 6"
Guide depicts 89 animals without backbones, including crustaceans, stony corals, soft corals, sponges, jellyfish, mollusks and more. 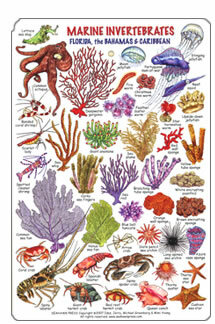 48 fishes and 24 invertebrates.